TotsBots Dad Colin on using reusable nappies. 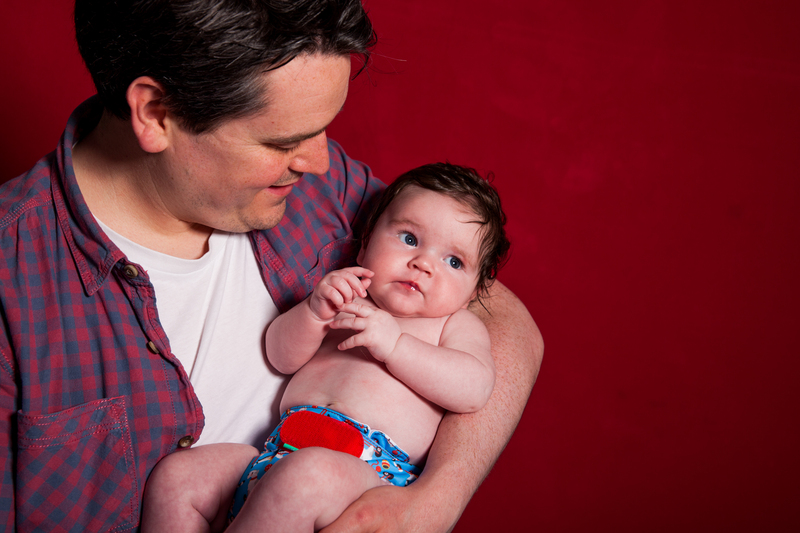 We find that a lot of the times it is Mums who lead the switch to reusable nappies and sometimes Dads can be resistant. 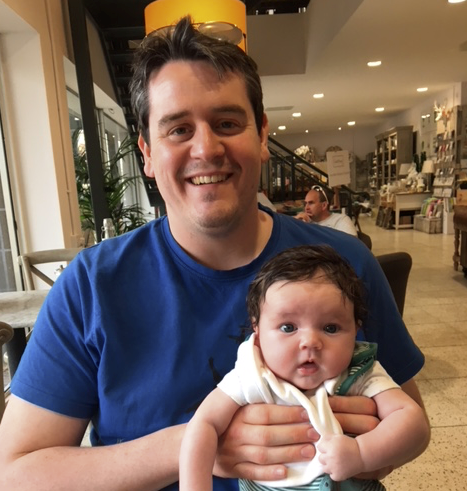 So, in the summer we did a shout out for Dads to come forward and share their experiences with cloth nappies so we could do a feature to help encourage other Dads to make the switch to cloth. Meet Colin, and his absolute dote of a baby Nolan! Colin and his wife decided shortly after baby Nolan came along, that they would try cloth as they noticed they were emptying the kitchen bin 3 times a day and were quite concerned about this as it was immediately obvious how much extra waste they were creating on a daily basis. They wanted to reduce this and went for reusable nappies. Colin also said that as a GP he saw babies in his surgery all the time with nappy rash and he didn’t want his baby to have nappy rash, so reusable nappies seemed like the obvious choice. He was happy to report that Nolan never get’s nappy rash! He also found them so much more colourful and fun than disposables. Nolan does look very cute in his nappies. His advice to other parent’s was to try reusable nappies continuously for a week before you decide to use them as he found it took a few days to get into the swing of using them and getting the fit right. They were given a bundle of preloved all-in-ones from a friend and that got them off to a great start. He also wanted to reassure parents about the perception that reusable nappies are a lot of work. It really is only one extra machine wash every 2 days so it’s not that much extra work at all. This particularly surprised him as he had expected it to be a lot harder. So massive thanks to Colin for coming in to see us with his lovely baby, we are really grateful that he took the time to share his reusable nappy experiences with us. We think his advice is great, find a friend who is happy to lend you a couple to try. If you don’t have a friend who you can borrow nappies from, then we’d suggest looking for a cloth nappy library near you where you will be able to try a small selection of TotsBots for free or a small weekly fee. Failing that, buy a couple of TotsBots nappies to get you started with a couple of reusable nappy changes throughout the day. Even if you did just that you’d divert 730 from landfill every year! Try a trial kit today. p.s Are you a cloth dad? Do you love spreading the awesomeness of TotsBots? We want to hear from you. It’s so useful to parents who are considering using reusable nappies to hear from cloth nappy parents, share your story with us and you could feature in our next Real Parents post. TotsBots Bamboozle night time nappies, protecting sleep since 2008!